To Cite: Nouhi M, Jahangiri R, Azami S, Azizi M, Ghasempour S, et al. The Effectiveness and Safety of Mechanical Thrombectomy Compared with Thrombolytic Therapy in Acute Stroke: A Systematic Review and Meta-Analysis, Health Tech Asmnt Act. 2017 ; 1(2):e60723. doi: 10.5812/htaa.60723. Background: This study aims to investigate the effectiveness of mechanical thrombectomy compared with thrombolytic therapy in patients with acute stroke. Methods: This study is a systematic review on clinical studies, as the Cochrane library, PubMed, Google Scholar, Web of Science, and Embase databases were searched. The time span selected to retrieve articles is 1990 to 2017. The quality of the articles found was evaluated by the CONSORT checklist. Fixed effects and random effects models were employed for meta-analysis. Results were subject to sensitivity analysis in specified curtained interval, CMA (Comprehensive Meta-Analysis software): 2 software was used to carry out the meta-analysis task, and alpha was set to 5%. Results: The eight papers found met the inclusion criteria. Patients in mechanical thrombectomy group had a significantly higher improvement rate compared to the thrombolytic therapy group [OR 1.71 (1.182.48), P = 0.005]. There were no significant differences between mechanical thrombectomy and thrombolytic therapy groups regarding intracerebral hemorrhage ([OR 1.03 (0.71 - 1.49), P = 0.88]). Mechanical thrombectomy was more effective in reducing mortality rate of patients, however, this difference was not significant ([OR 0.84 (0.67 - 1.05), P = 0.12]). The effectiveness of mechanical thrombectomy is superior to thrombolytic therapy based on the improvement rate, 90-day mortality and symptoms of intracerebral hemorrhage OR: 2.23 (1.77 - 2.81), P < 0.00001; OR 0.79 (0.60 - 1.05), P = 0.10, and OR 1.02 (0.61 - 1.70), P = 0.95, respectively. Conclusions: Through some good criteria for selecting appropriate patients, mechanical thrombectomy can be superior to thrombolytic therapy in patients with acute stroke. Copyright © 2017, Health Technology Assessment in Action. This is an open-access article distributed under the terms of the Creative Commons Attribution-NonCommercial 4.0 International License (http://creativecommons.org/licenses/by-nc/4.0/) which permits copy and redistribute the material just in noncommercial usages, provided the original work is properly cited. Ischmic brain strokes are cerebrovascular accidents known as brain attacks. They occur when blood supply to a specific part of brain is interrupted and consequently brain ceases to function (1). In 1996, Thrombolysis treatments were confirmed as treatments for severe ischmic strokes. This led to a great change in treating severe stroke patients (2-13). On-time treatments using blood clot solution or thrombolysis helps ischmic strokes to bear less symptoms and fewer disabilities as well. Only 8% of ischmic strokes lead to death after 30 days. Current thrombolysis treatments should start within three hours after the brain stroke occurs. It is essential for the public and also clinical experts to know that the patient afflicted with brain stroke should be immediately transferred to a hospital to receive treatment and the necessary injections. If brain stroke is quickly diagnosed and the blood clot is solved (in three hours), the stroke area will not expand. After three months, the patients will show signs of improvement. Clinical tests are still researched to investigate other thrombolysis (5, 14-16). Another technique in treating severe ischmic stroke patients is mechanical thrombectomy. The results of some clinical trials revealed that this technique is not significantly better than thrombolysis therapy (17-19). However, the systematic review and meta-analysis done by Fargen et al. (2005), suggested that mechanical thrombectomy is more effective compared to thrombolysis therapy (20). Reviewing the literature and available evidence reveals a conflict in the results and suggestions of previous studies (21-30). Taken the significance of ischemic stroke treatments, it is critical to know the effectiveness and outcomes of each of these two techniques. In this way, a systematic review on the studies can be fruitful. The present study compared the effectiveness and clinical results of mechanical thrombectommy and thrombolysis therapy. This is a systematic review designated and carried out according to the approach introduced in the book “Systematic reviews to support evidence-based medicine” (31). At the first step, potentially eligible studies were retrieved through Cochrane, PubMed, Google Scholar, Web of Science, and Embase databases. Keywords included stroke, brain ischemia, ischemic stroke, streptokinase, urokinase, thrombolytic therapy, tissue plasminogen activator, intra-arterial, intravenous, thrombolysis, mechanical thrombectomy endovascular treatment, and endovascular therapies. In the second phase, Iranian databases such as SID, Medlib, Magiran, and Iran medex were used to find marker papers. The searching timespan included years 1990 to 2017. To retrieve broadly, a number of journals were also searched manually. The references of the marked studies were also searched to find more studies. Population: Participants in the study included all patients with severe ischemic strokes. Outcome: Mortality was the primary outcome investigated in this study. The secondary outcomes were national institutes of health stroke scale (NIHSS), recanalization, Rankin Scale/(mRS 0 - 2) at 90 days, and symptomatic intracerebral hemorrhage (sICH). Two reviewers independently scrutinized retrieved papers to find the included studies. Any discrepancies between the reviewers were negotiated by the third reviewer to achieve consensus. The included studies were evaluated by two reviewers (SA & MN) to determine the methodological quality. In case of any conflicts between the two reviewers, the conflict cases were referred to a third reviewer (RJ). For observational studies STROBE 17 checklist was used for observational studies and CONSORT 18 was used for clinical trial studies. To extract data, an extraction table was manually designed in the Word Processor software. The extracted data in the table included author(s), article publication year, the clinical experiment period, the setting of clinical trials, the number of participants, and the age of participants, NIHSS index, recanalization, intracranial hemorrhage symptoms, and mortality rate (Table 1). Meta-analysis procedures were employed to estimate mortality and improvement values. To carry out meta-analysis, the CMA: 2 (comprehensive meta-analysis) software was used. Forest plots, in which the size of the squares indicate the sample size and the lines drawn in each side, indicated that the confidence interval for each study were adopted to report the results. The statistical analysis was done using the SPSS: 16 software. In this study, P < 0.05 was considered as statistically significant. Only eight articles from 439 retrieved were included studies in the systematic review (17-19, 32-36) (Figure 1). The summary of the extracted data from the articles is presented in Table 1. Among the eight included articles, seven had been carried out in different locations. The number of participants varied from 70 to 565 individuals. In general, 2,423 cases had been investigated, 1,313 of them were in the thrombotectomy group and 1,110 were in the thrombolysis group. The age of the participants ranged from 65 to 71, and 66 to 70 in the thromboctemy group and the thrombolysis group, respectively. The mean NIHSS index for the thrombotectomy group was 13 - 19 and this value was 13 - 21 for the thrombolysis group. In this study two sets of data were analyzed. Firstly, all articles selected were analyzed and then six articles, in which more than half of the participants were in the mechanical thrombotectomy group, were analyzed for the second time. The articles analyzed using the random model showed that the improvement rate value was larger for mechanical thrombotectomy group compared to the thrombolysis group [OR 1.71 (1.182.48), P = 0.005]. Besides, there was a moderate heterogeneity among the studies (I2 = 75%, P = 0.0002) (Figure 2). The results of the analyses showed no significant differences between mechanical thrombotectomy and thrombolysis regarding symptomatic intracerebral hemorrhage ([OR 1.03 (0.71 - 1.49), P = 0.88]. The results of the heterogeneity of the studies revealed the homogeneity results of the studies in this regard (I2 = 0%, P = 0.84) (Figure 3). The results of the analyses showed that mechanical thrombotectomy was more effective in reducing the mortality rate of the patients. However, this value was not considerably significant ([OR 0.84 (0.67 - 1.05), P = 0.12]). Furthermore, the heterogeneity test of the studies indicated their homogeneity in this matter (I2 = 0%, P = 0.49) (Figure 4). Figures 5 - 7 present the results of six articles in which more than of the participants were in the mechanical thromboltectomy group. Abbreviation: sICH, symptomatic intracerebral hemorrhage. Figure 5. A comparison of symptom improvement rate (mRS 0 - 2 at 90 days) for the thrombotectomy group compared to the patients in thrombolysis group in articles in which more than half of the participants were in the thrombotectomy group. Figure 6. A comparison of mortality rate of the thrombotectomy group compared to the patients in thrombolysis group in articles in which more than half of the participants were in the thrombotectomy group. Figure 7. A comparison of symptomatic intracerebral hemorrhage (sICH) of the thrombotectomy group compared to the patients in thrombolysis group in articles. in which more than half of the participants were in the thrombotectomy group. The results show that compared to thrombolysis, thrombotectomy increases symptom improvement rate (OR [2.23 (1.77 - 2.81), P < 0.00001]) (Figure 4). Moreover, the results showed that theombotectomy reduced mortality rate after 90 days, however, this value was not significant ([OR 0.79 (0.60 - 1.05), P = 0.10] (Figure 5). Finally, the results revealed that thrombotectomy has no significant effect on symptomatic intracerebral hemorrhage (sICH) compared to thrombolysis (OR 1.02 (0.61 - 1.70), P = 0.95] (Figure 6). Furthermore, no heterogeneity was observed for these three indices (20% for improvement rate, 4% for mortality rate, and 0% for symptomatic intracerebral hemorrhage (sICH)). Acute strokes are one of the main causes of mortality and morbidity across the world. Brain stroke holds third among death causes and is one the most common causes of hospitalization in the USA. In spite of great advances in treating severe ischemic brain strokes (including thrombolytics and mechanical removing of blood clots), less than 5% of patients receive the proper treatment due to the fact that their treatment was not started on time (3, 10, 11). The results of the present study showed that the thrombotectomy group’s improvement rate was higher compared to the thromobolytic group. Mechanical thrombotectomy showed no significant effect regarding symptomatic intracerebral hemorrhage (sICH) compared to thrombolytic group. Moreover, mechanical thrombotectomy was more effective in reducing death rate compared to thrombolytic group. However, this value was not statistically significant. Regarding the effectiveness of mechanical thrombotectomy in comparison with thrombolytic, the results of previous systematic reviews and meta-analyses showed that there was no superiority of mechanical thrombotectomy over thrombolysis (37-39). One of the probable reasons for the conflict between these results with that of the current study might be the type of articles included. All types of articles (case studies, retrospective studies, etc.) were included in those studies, while the present study, only adopted the studies with a clinical experimental design. The number of studies investigated in this study is also different with that of those studies. However, the study done by Fargsen et al. (2014), which had included clinical experimental studies and had objectives similar to that of the present study, corroborated the findings of the present study showing that mechanical thrombotectomy was much more effective compared to thrombolysis (20). Considering the fact that in the present study the superiority of mechanical thrombotectomy compared to thrombolysis was more salient in studies in which more than half of the participants were in mechanical thrombotectomy group. This was ignored in previous studies and also considering the type of included studies in the present study and that of Fargen et al. (only clinical trials), the findings of the present study sounds more reliable. However, it is highly recommended that further research should be done to investigate the differences and the conclusions about the superiority of mechanical thrombotectomy compared to thrombolysis. As mentioned earlier, in general, the findings showed that mechanical therombotectomy was more effective than thrombolysis. It should be noted that all studies have used intra-venous thrombolytic therapy, whereas recently a new technique known as intra-arterial thrombolysis is also used in studies. The findings of some of the studies, in recent years, revealed that intra-arterial thrombolysis is more effective compared to intra-venous thrombolysis (40-42). In the systematic review and meta-analysis done by Wardlaw et al. (2013), which investigated 2,527 patients in 20 articles, no significant superiority was reported for intra-venous thrombolysis compared to intra-arterial thrombolysis (43). In the systematic review and meta-analysis carried out by Nam et al. (2013), which had included four articles and had investigated 351 patients, two articles were included in the meta-analysis, which showed that intra-arterial thrombolysis was more effective regarding symptom improvement, however, there was no difference regarding mortality rate (37). Hence, this fact should be noted in interpretation of the results of the present study. In this way, future research should note this and investigate effectiveness and immunity of intra-arterial thrombolytic therapy compared to mechanical thrombotectomy as well. One of the limitations of the present study was that the effects of different tools in mechanical thrombectomy were not measured because they could not be extracted from the results of the studies. Considering the different advantages and effectiveness of different tools, the type of tool used in mechanical thrombotectomy is expected to make a difference. In this regard, the results of the studies done by Broussalis et al. (2013), showed that using Trevo and Solitaire stents tools was more effective and had fewer side effects in mechanical thrombotectomy of severe brain stroke patients compared to Merci retriever (44). The present study had some limitations. The included studies in the analysis varied in terms of the way services were presented to the patients. Furthermore, only studies written in English and Farsi had been included. Limited evidence hindered investigating the clinical effects of different tools used for mechanical thrombectomy. In spite of the limitations in the studies and the reviewed articles, the limitations and shortcomings of the present study and different findings of the previous systematic reviews and huge heterogeneity in the results of clinical experimental studies, it can be concluded that in equal conditions, mechanical thrombotectomy is significantly more effective than thrombolytic therapy. 8. Alberts MJ. Thrombolysis in acute ischemic stroke. Stroke. 1993;24(6):911-2. [PubMed: 8506567]. 9. Alvarez-Fernandez JA. [Ultrasound-enhanced systemic thrombolysis. An effective and underutilized treatment for acute ischemic stroke]. Med Intensiva. 2011;35(2):134-5. doi: 10.1016/j.medin.2010.12.013. [PubMed: 21354657]. 10. Aoyagi N. Acute subdural hematoma after intra-arterial thrombolysis for acute ischemic stroke--case report. Neurol Med Chir (Tokyo). 2006;46(5):265. author reply 265. [PubMed: 16723823]. 11. Baizabal-Carvallo JF. Infarct growth with and without intravenous thrombolysis in acute ischemic stroke. Ann Neurol. 2012;71(3):433. author reply 433-4. doi: 10.1002/ana.23526. [PubMed: 22451210]. 12. Demchuk AM, Felburg RA, Alexandrov AV. Clinical recovery from acute ischemic stroke after early reperfusion of the brain with intravenous thrombolysis. N Engl J Med. 1999;340(11):894-5. doi: 10.1056/NEJM199903183401117. [PubMed: 10084910]. 13. Derdeyn CP. Acute ischemic stroke--are hemodynamic variables predictive of outcome after systemic thrombolysis? Nat Clin Pract Neurol. 2007;3(2):72-3. doi: 10.1038/ncpneuro0398. [PubMed: 17279078]. 14. Santos AF, Pinho J, Ramos V, Pardal J, Rocha J, Ferreira C. Stroke and cardiac papillary fibroelastoma: mechanical thrombectomy after thrombolytic therapy. J Stroke Cerebrovasc Dis. 2014;23(5):1262-4. doi: 10.1016/j.jstrokecerebrovasdis.2013.09.018. [PubMed: 24144594]. 15. Rincon F. Anticoagulation and thrombolysis for acute ischemic stroke and the role of diagnostic magnetic resonance imaging. Arch Neurol. 2004;61(5):801-2. author reply 802. doi: 10.1001/archneur.61.5.801-d. [PubMed: 15148165]. 16. Rosenblum WI. When is thrombolysis justified in patients with acute ischemic stroke? Stroke. 1997;28(5):1086-7. [PubMed: 9158655]. 17. Broderick JP, Palesch YY, Demchuk AM, Yeatts SD, Khatri P, Hill MD, et al. Endovascular therapy after intravenous t-PA versus t-PA alone for stroke. N Engl J Med. 2013;368(10):893-903. doi: 10.1056/NEJMoa1214300. [PubMed: 23390923]. [PubMed Central: PMC3651875]. 18. Ciccone A, Valvassori L, Nichelatti M, Sgoifo A, Ponzio M, Sterzi R, et al. Endovascular treatment for acute ischemic stroke. N Engl J Med. 2013;368(10):904-13. doi: 10.1056/NEJMoa1213701. [PubMed: 23387822]. [PubMed Central: PMC3708480]. 19. Kidwell CS, Jahan R, Gornbein J, Alger JR, Nenov V, Ajani Z, et al. A trial of imaging selection and endovascular treatment for ischemic stroke. N Engl J Med. 2013;368(10):914-23. doi: 10.1056/NEJMoa1212793. [PubMed: 23394476]. [PubMed Central: PMC3690785]. 20. Fargen KM, Neal D, Fiorella DJ, Turk AS, Froehler M, Mocco J. A meta-analysis of prospective randomized controlled trials evaluating endovascular therapies for acute ischemic stroke. J Neurointerv Surg. 2015;7(2):84-9. doi: 10.1136/neurintsurg-2014-011543. [PubMed: 25432979]. 21. Aaron S. Intra-arterial thrombolysis in acute ischemic stroke. Neurol India. 2010;58(3):504-5. doi: 10.4103/0028-3886.65544. [PubMed: 20644301]. 22. Bruno A, Switzer JA. Predicting outcome of IV thrombolysis-treated ischemic stroke patients: the DRAGON score. Neurology. 2012;79(5):486-7. author reply 486-7. doi: 10.1212/01.wnl.0000418553.72494.02. [PubMed: 22851721]. 23. Bugnicourt JM, Godefroy O. Day-7 or day-90 modified Rankin scale score: what is the best measure of outcome after thrombolysis in ischemic stroke? J Thromb Thrombolysis. 2013;36(3):316. doi: 10.1007/s11239-012-0820-9. [PubMed: 23054466]. 24. Butler RN. Thrombolysis for acute ischemic stroke. Geriatrics. 1997;52(12):12. 15. [PubMed: 9413247]. 25. Caceres-Loriga FM. Ischemic stroke in the course of thrombolytic treatment of prosthetic valve thrombosis: thrombolysis is suggested. Anadolu Kardiyol Derg. 2013;13(3):286-7. doi: 10.5152/akd.2013.085. [PubMed: 23443861]. 26. Chao AC. Thrombolysis for acute ischemic stroke in Taiwan. Acta Neurol Taiwan. 2010;19(4):225-7. [PubMed: 21210324]. 27. Ciccone A, Scomazzoni F. Intra-arterial thrombolysis for acute ischemic stroke. Stroke. 2006;37(8):1962. author reply 1963. doi: 10.1161/01.STR.0000231684.19828.0d. [PubMed: 16809560]. 28. Huang Q, Ma QF, Jia JP, Feng J, Cheng WY, Chang H, et al. Referral leads to prehospital delay of intravenous thrombolysis for acute ischemic stroke in Beijing. Int J Stroke. 2015;10(7):E80-1. doi: 10.1111/ijs.12568. [PubMed: 26404886]. 29. Sobolewski P, Szczuchniak W, Hatalska-Zerebiec R, Sobota A, Sledzinska-Dzwigal M. The impact of demographic and logistic factors on effectiveness and safety of IV thrombolysis in patients with acute ischemic stroke in a rural hospital in southeastern Poland. Int J Stroke. 2013;8(6). E41. doi: 10.1111/ijs.12112. [PubMed: 23879765]. 30. van Wijngaarden JD, Dirks M, Huijsman R, Niessen LW, Fabbricotti IN, Dippel DW, et al. Hospital rates of thrombolysis for acute ischemic stroke: the influence of organizational culture. Stroke. 2009;40(10):3390-2. doi: 10.1161/STROKEAHA.109.559492. [PubMed: 19713539]. 31. Khan K, Kunz R, Kleijnen J, Antes G. Systematic reviews to support evidence-based medicine. Crc Press; 2011. 32. Goyal M, Demchuk AM, Menon BK, Eesa M, Rempel JL, Thornton J, et al. Randomized assessment of rapid endovascular treatment of ischemic stroke. N Engl J Med. 2015;372(11):1019-30. doi: 10.1056/NEJMoa1414905. [PubMed: 25671798]. 33. Campbell BC, Mitchell PJ, Kleinig TJ, Dewey HM, Churilov L, Yassi N, et al. Endovascular therapy for ischemic stroke with perfusion-imaging selection. N Engl J Med. 2015;372(11):1009-18. doi: 10.1056/NEJMoa1414792. [PubMed: 25671797]. 34. Berkhemer OA, Fransen PS, Beumer D, van den Berg LA, Lingsma HF, Yoo AJ, et al. A randomized trial of intraarterial treatment for acute ischemic stroke. N Engl J Med. 2015;372(1):11-20. doi: 10.1056/NEJMoa1411587. [PubMed: 25517348]. 35. Jovin TG, Chamorro A, Cobo E, de Miquel MA, Molina CA, Rovira A, et al. Thrombectomy within 8 hours after symptom onset in ischemic stroke. N Engl J Med. 2015;372(24):2296-306. doi: 10.1056/NEJMoa1503780. [PubMed: 25882510]. 36. Saver JL, Goyal M, Bonafe A, Diener HC, Levy EI, Pereira VM, et al. Stent-retriever thrombectomy after intravenous t-PA vs. t-PA alone in stroke. N Engl J Med. 2015;372(24):2285-95. doi: 10.1056/NEJMoa1415061. [PubMed: 25882376]. 37. Nam J, Jing H, O'Reilly D. Intra-arterial thrombolysis vs. standard treatment or intravenous thrombolysis in adults with acute ischemic stroke: a systematic review and meta-analysis. Int J Stroke. 2015;10(1):13-22. doi: 10.1111/j.1747-4949.2012.00914.x. [PubMed: 23294872]. 38. Singh B, Parsaik AK, Prokop LJ, Mittal MK. Endovascular therapy for acute ischemic stroke: a systematic review and meta-analysis. Mayo Clin Proc. 2013;88(10):1056-65. doi: 10.1016/j.mayocp.2013.07.015. [PubMed: 24079677]. [PubMed Central: PMC3883722]. 39. Osanai T, Pasupuleti V, Deshpande A, Thota P, Roman Y, Hernandez AV, et al. 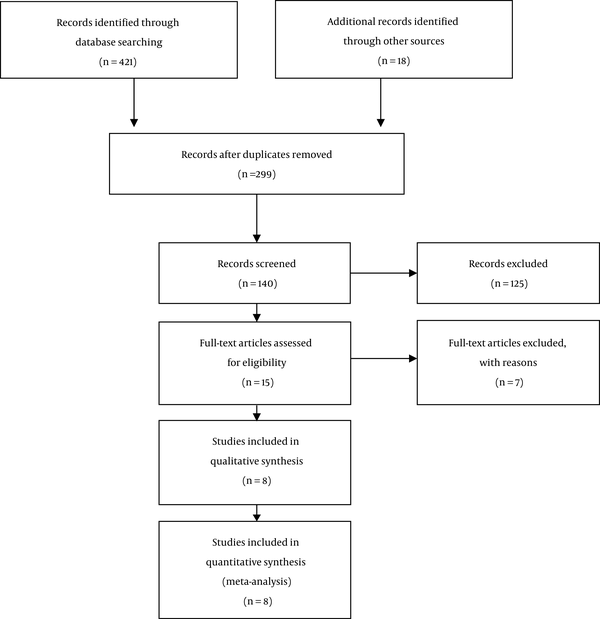 Acute endovascular reperfusion therapy in ischemic stroke: a systematic review and meta-analysis of randomized controlled trials. PLoS One. 2015;10(4). e0122806. doi: 10.1371/journal.pone.0122806. [PubMed: 25915905]. [PubMed Central: PMC4410940]. 40. Furlan A, Higashida R, Wechsler L, Gent M, Rowley H, Kase C, et al. Intra-arterial prourokinase for acute ischemic stroke. The PROACT II study: a randomized controlled trial. Prolyse in Acute Cerebral Thromboembolism. JAMA. 1999;282(21):2003-11. [PubMed: 10591382]. 41. Furlan AJ. Thrombolysis for acute ischemic stroke: update on the beginning of a revolution. Cleve Clin J Med. 1998;65(4):185-90. [PubMed: 9597783]. 42. Smith WS, Sung G, Saver J, Budzik R, Duckwiler G, Liebeskind DS, et al. Mechanical thrombectomy for acute ischemic stroke: final results of the Multi MERCI trial. Stroke. 2008;39(4):1205-12. doi: 10.1161/STROKEAHA.107.497115. [PubMed: 18309168]. 43. Wardlaw JM, Koumellis P, Liu M. Thrombolysis (different doses, routes of administration and agents) for acute ischaemic stroke. Cochrane Database Syst Rev. 2013;(5). CD000514. doi: 10.1002/14651858.CD000514.pub3. [PubMed: 23728633]. 44. Broussalis E, Trinka E, Hitzl W, Wallner A, Chroust V, Killer-Oberpfalzer M. Comparison of stent-retriever devices versus the Merci retriever for endovascular treatment of acute stroke. AJNR Am J Neuroradiol. 2013;34(2):366-72. doi: 10.3174/ajnr.A3195. [PubMed: 22790249].